Enjoy Tyre will showcase the latest patterns and sizes in its Rotalla and Routeway private brands at Autopromotec from May 22-26 in Bologna, Italy. 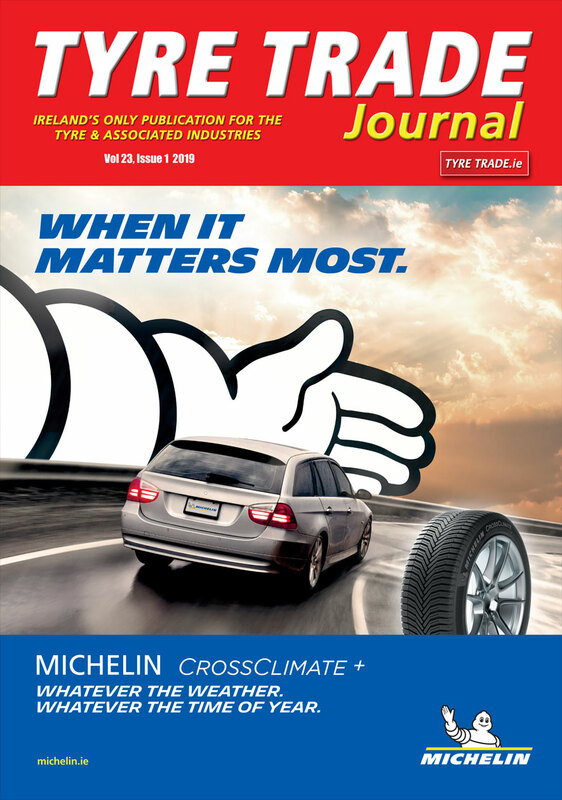 Enjoy’s ultimate objective at this event was to promote their initial range of All-Season tyres which were initially launched on an international basis towards the end of 2018 and will now making their trade debut in Europe at the show in Italy. 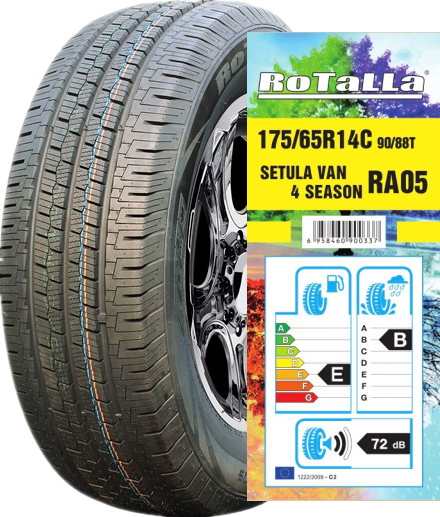 Sales Director Nick Zhou states: “Our Rotalla all-season tyre range presents two distinctive pattern designs with one for the high performance and ultra high performance sector – the Setula 4-Season RAO3 and the other for the van/light commercial sector – the Setula 4-Season RA05. The RA03 tyre incorporates a brand new tread compound and centre groove design for outstanding wet grip as well as a uni-directional pattern to give excellent driving control and stability when driving at high speeds, plus minimizing rolling resistance and energy consumption. Also a special V-shaped tread design that includes two wide grooves to ensure outstanding drainage ability. The RA05 also has many of the features of the RA03 plus a unique shoulder design for improved mileage performance. Since being launch in October 2018 the Rotalla All-Season range has initially released 92 size option with a further 34 sizes due to be introduced in May. 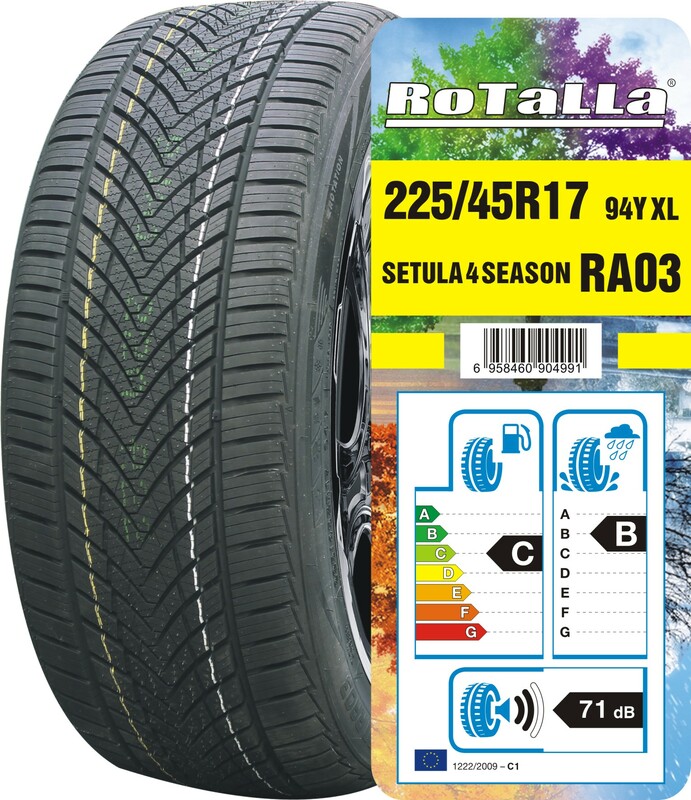 For further information on the all-season tyre and the complete Rotalla and Routeway product portfolios contact Daly Tyres on 069 648 99 or visit http://www.dalytyres.com.